For students currently in grades 8-12. Need adult sponsors at a ratio of 1 adult per 3 students. Email Brittany Stalcup at . 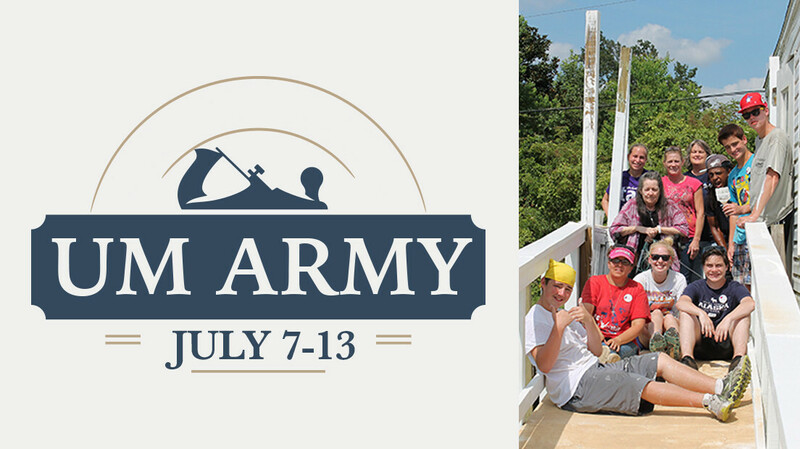 Every summer UM Army recruits youth to spend a week providing free home repairs for those who are physically or financially unable to do so. Building wheelchair ramps, porches, steps, handrails; painting and cleaning homes, as well as mowing yards. This ARMY reaches out and becomes missionaries serving God’s people.